The Valley Springs Area Business Association provides networking for businesses in or nearby communities and Counties. The Valley Springs Area Business Association (VSABA) is made up of businesses, organizations, and individuals who do business in and around Valley Springs. The VSABA was formed in 1983 by a group of citizens and merchants from Burson, Wallace, Valley Springs and Rancho Calaveras areas. They joined together for the mutual benefit of their communities and Calaveras County, and in 1984, The Valley Springs Area Business Association was founded as a non-profit corporation. We truly believe in the ability to elevate experiences, engage and inspire people everywhere starting within our community. We get so excited to learn about you and your business, and believe in advocating on behalf of a business, by assessing and addressing the issues and needs of business owners, and consistently and effectively communicating them which include to our elected and appointed officials. LOCATED NEXT HOGAN LAKE, VALLEY SPRINGS IS A WALKABLE, BIKEABLE NEIGHBORHOOD FILLED WITH EVERYTHING FROM BOUTIQUES, SHOPPING, EATING, RELAXATION AND ENTERTAINMENT. Valley Springs is a vibrant neighborhood located in Calaveras County. 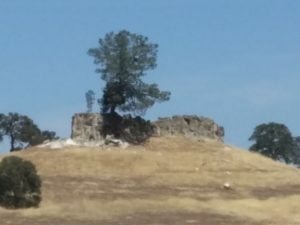 What began early in the 19th century as a gateway to the gold rush and then home to the Olive Industry soon became a bustling neighborhood on the edge of the county. Valley Springs has never lost its flavor of a fun, little family neighborhood on the edge of a big city. Today, you’ll find many businesses in Valley Springs are locally owned, surrounded by a family-oriented neighborhood. It’s a wonderful place to work, shop, live and play! VSABA Board Meeting April 10th 2019.